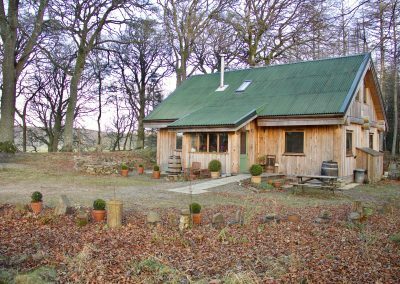 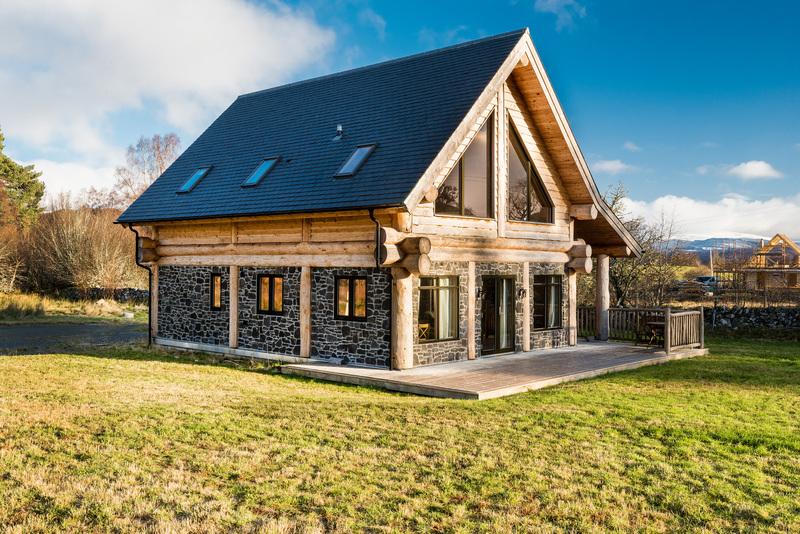 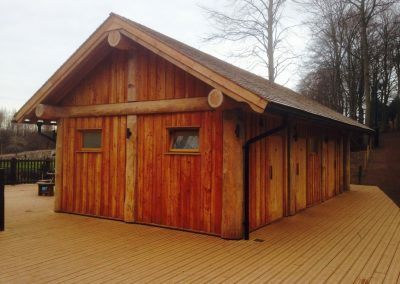 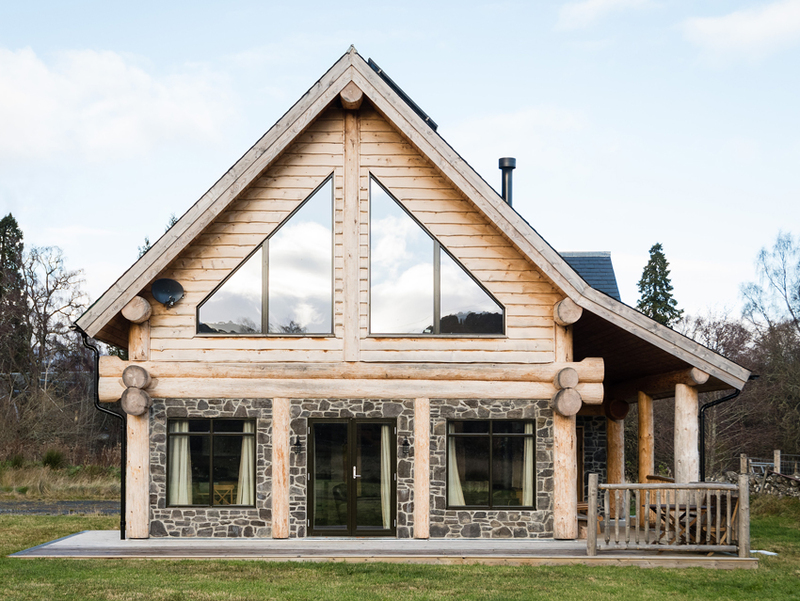 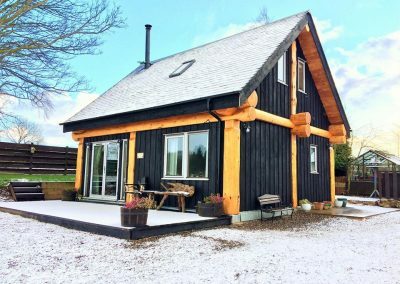 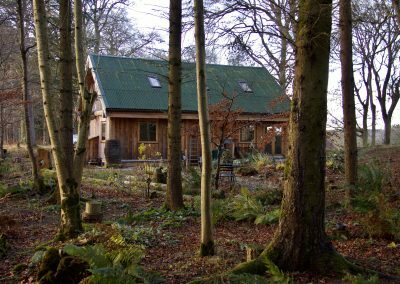 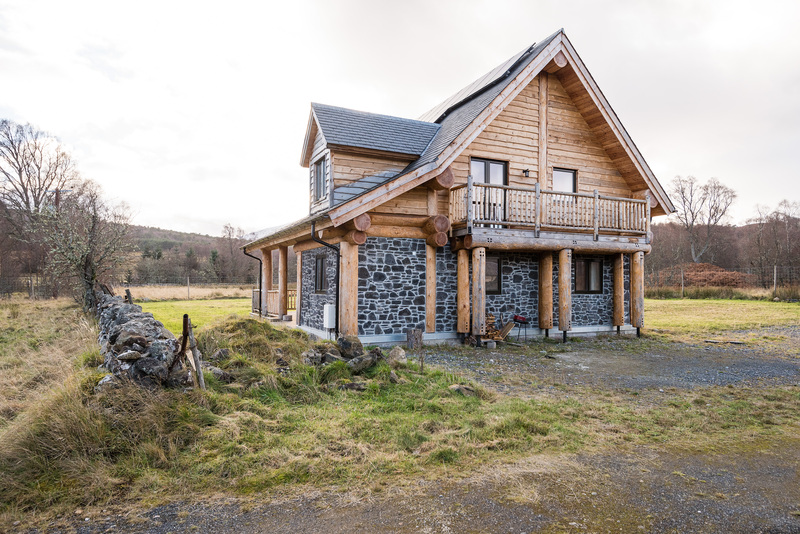 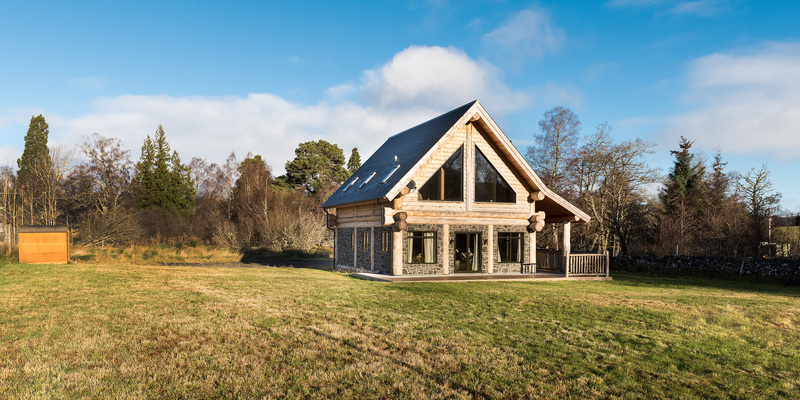 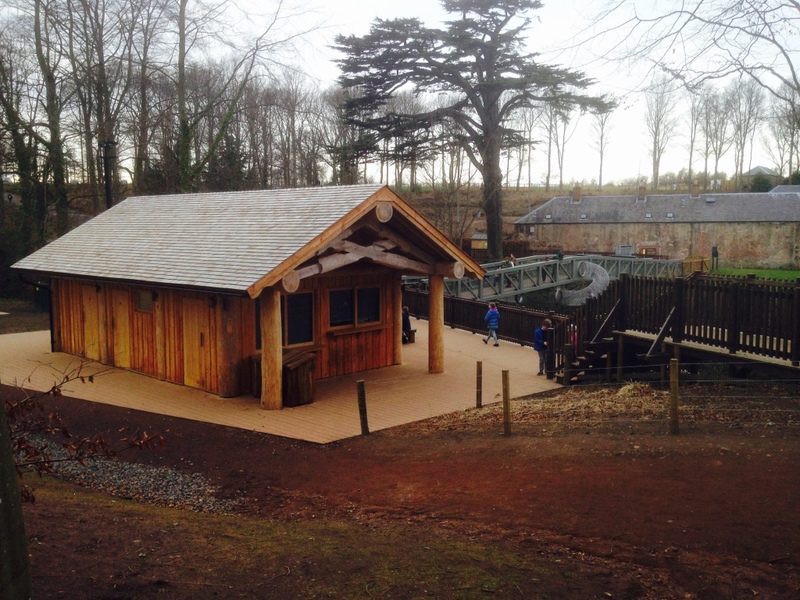 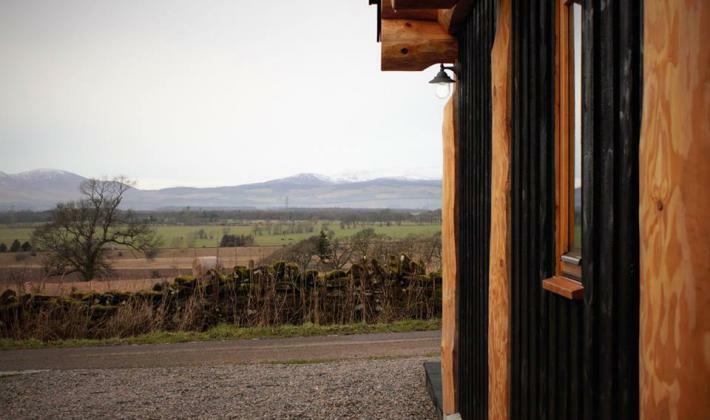 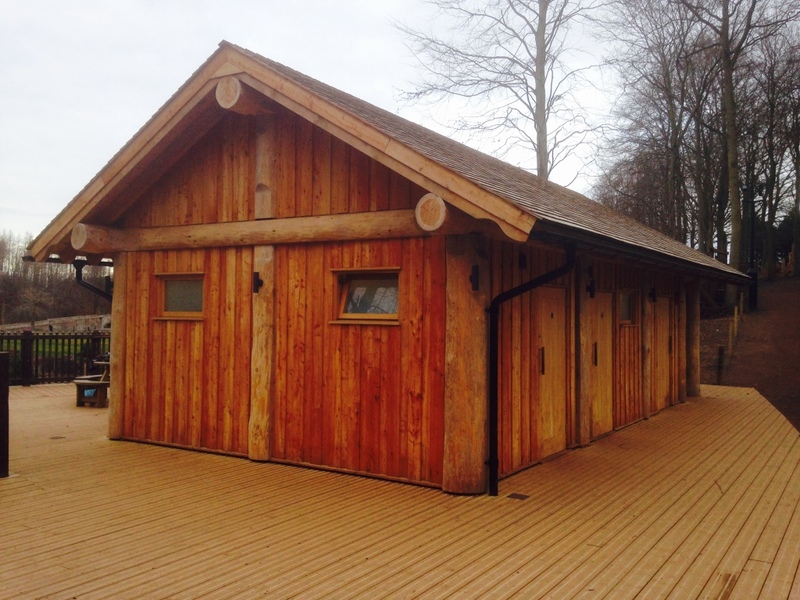 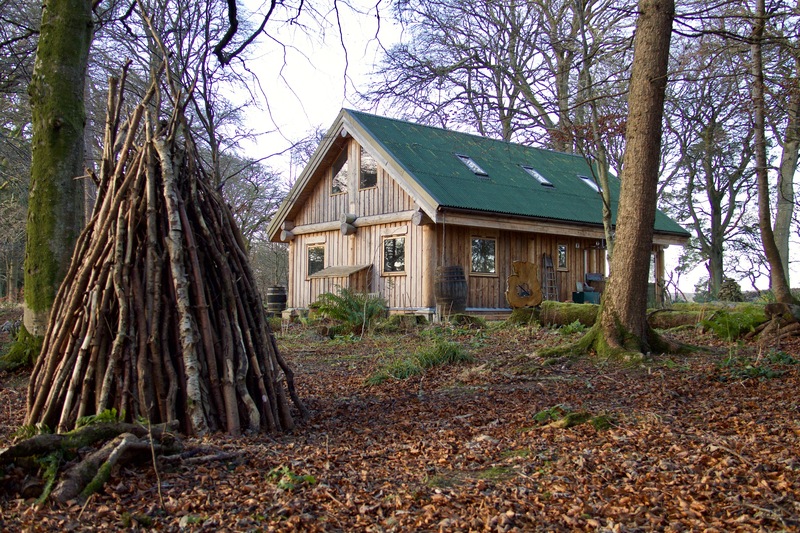 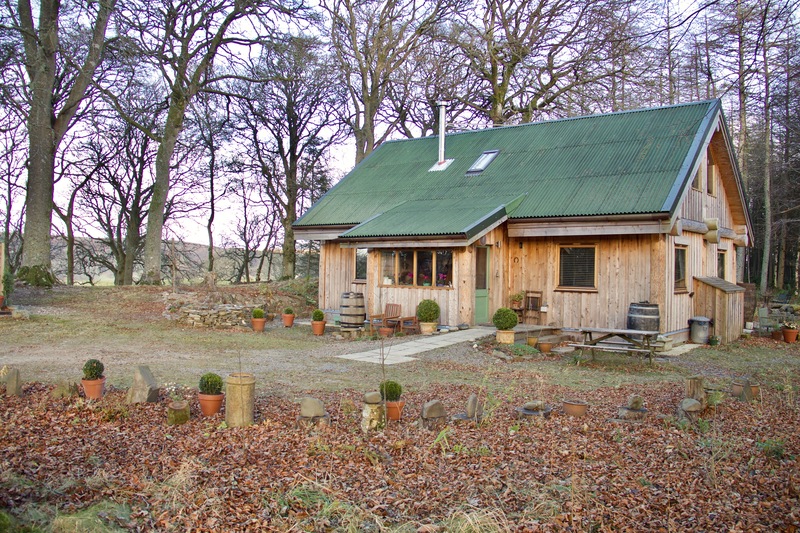 Using only the best Scottish timber we take great pride in our market leading, awe inspiring Post & Beam log homes. 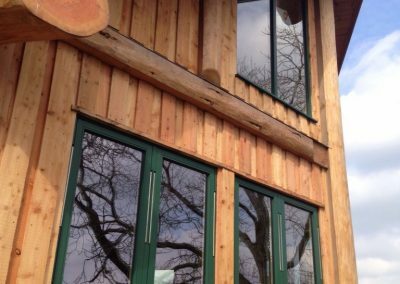 Massive 500mm diameter Douglas fir posts, huge beams and ridges in excess of 650mms ensure our handcrafted post and beam builds take your breath away. 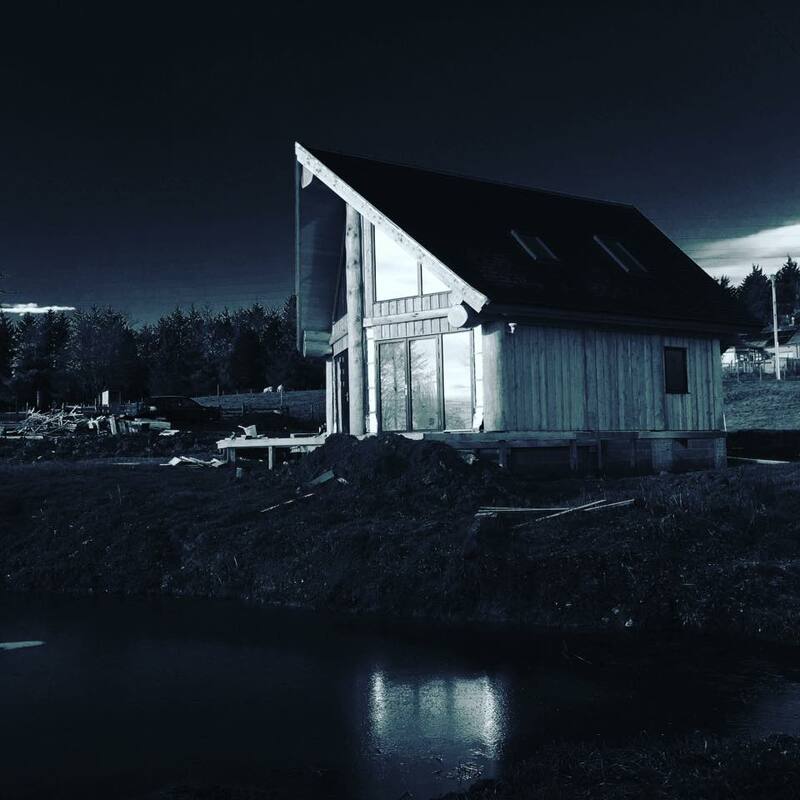 We love what we do and in every aspect of our work you see our comittment to quality and the craft of log building shine through. 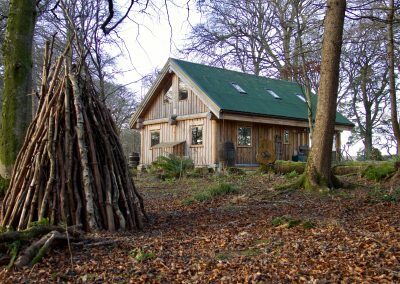 These builds can only truly be appreciated in the flesh and even though the scale of the logs sounds huge everything fits perfectly into scale. 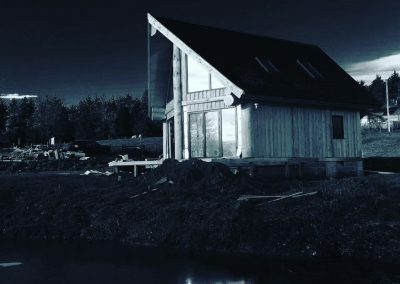 Each and every one of our builds is unique and has never been built before. 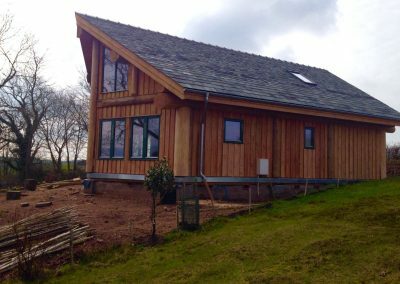 Each build is tackled with the same enthusiam as the previous one, no matter the scale or location. 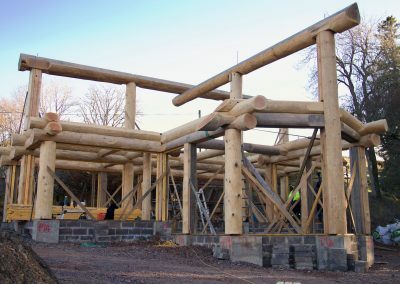 We strive to make every build the best we have ever built. 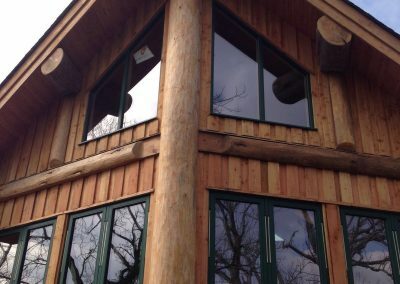 Over the years we have refined our flashing systems round the base of the builds, round window and door openings and around the post and beams meaning Post and Beam builds are perfect for rugged locations and will truly stand the test of time. 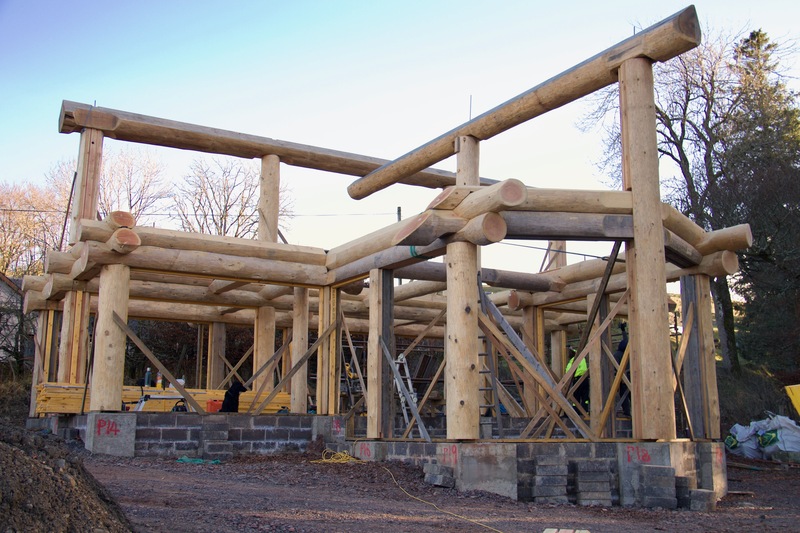 Adaptability is one of the great draws to Post and Beam log builds. 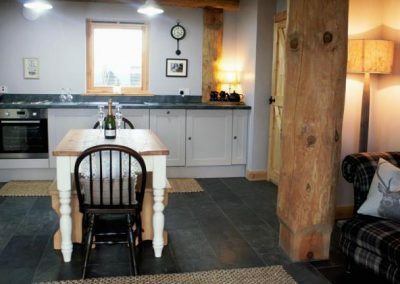 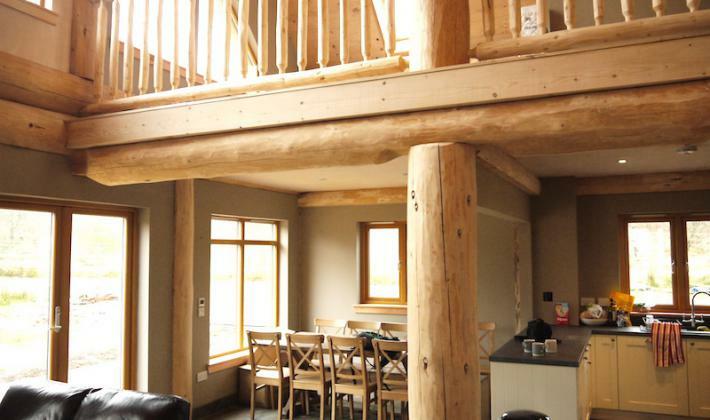 The huge posts and beams allows you to play with the design and layout of your house. 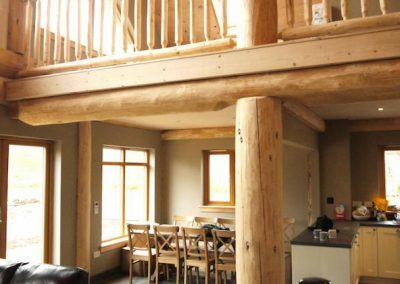 Because there is minimal settlement in the structure and fantastic structural strength in the beams you can safely build in angled prow fronts to living rooms or great rooms. 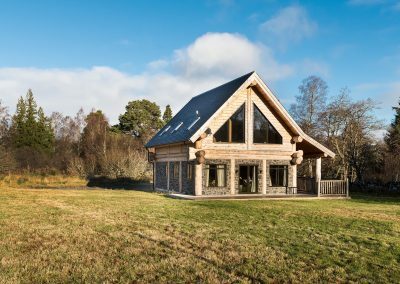 Large windows and door opening onto decks are one of the hallmarks of Post and Beams builds which make them perfect for overlooking fantastic views. Exposed internal log beams, joists, ridges and purlins give the builds more than a touch of class. 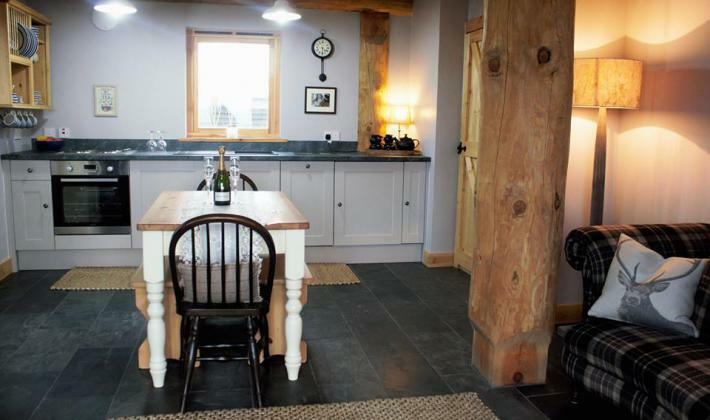 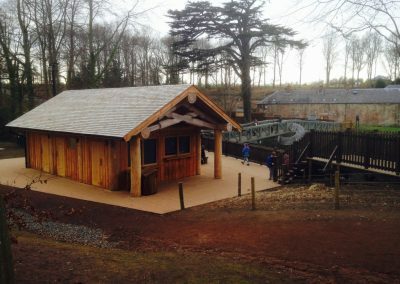 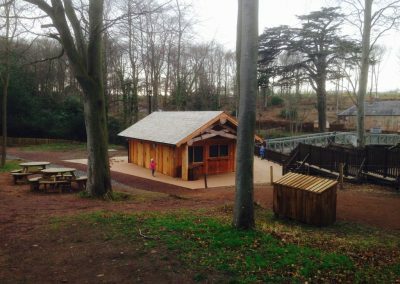 You will never tire of marvelling at the craftmanship, size and natural beauty of the structural log work, all of which is designed to your taste and budget. 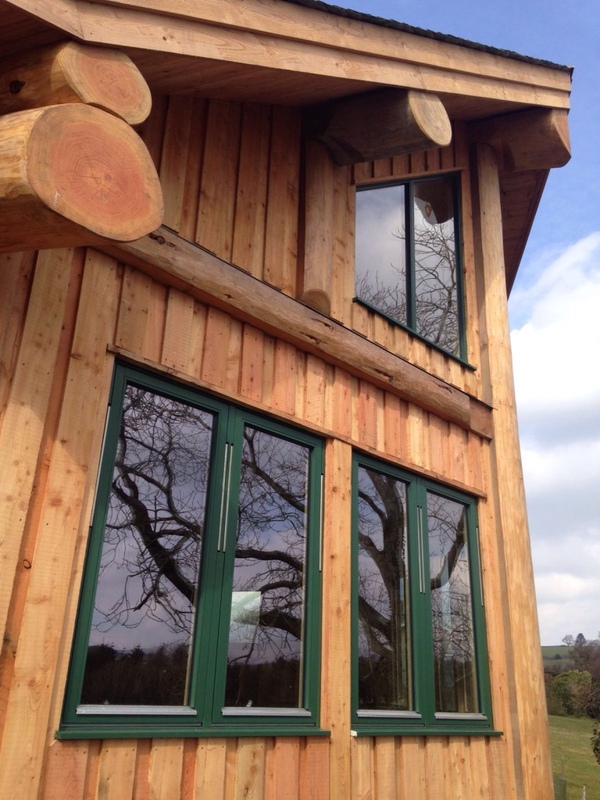 Handcrafted timber staircases cap off our work and well positioned ligthing enhances a truley unique home. 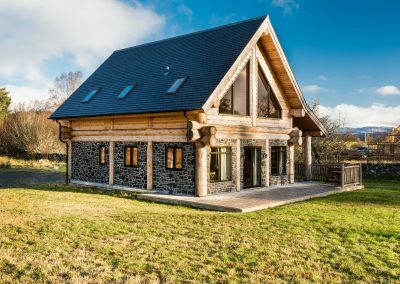 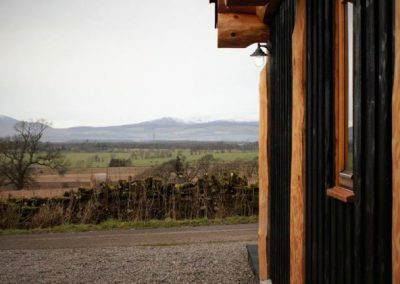 Visit our four bedroom Post and Beam showhome in the Scottish Borders to get a feel for our quality and craft. 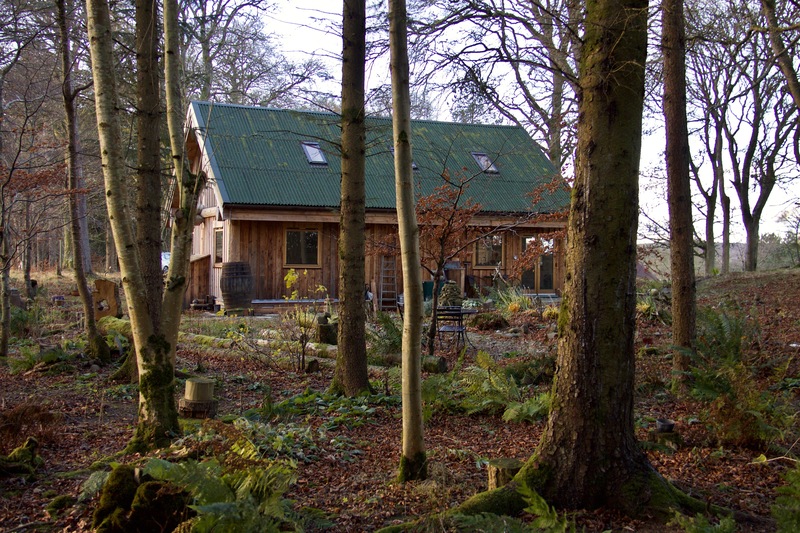 Be careful though, you will fall in love and will not be able to leave without wanting one. 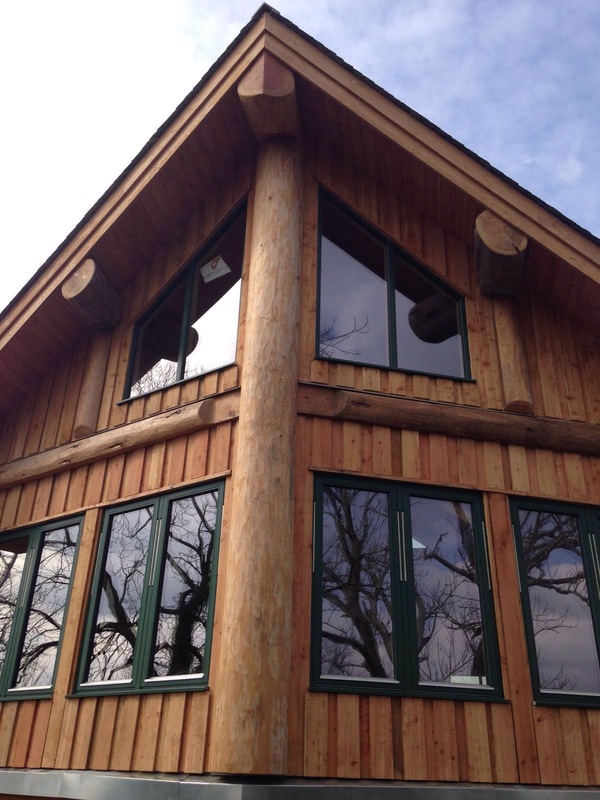 Caledonia Log Homes have done a truly amazing job at Fiddle Hill Cottage. 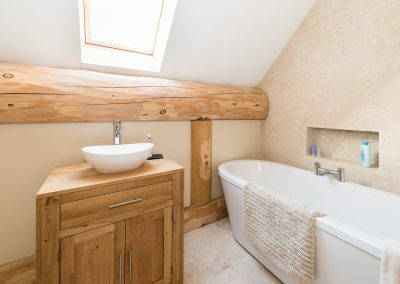 Chris is great to deal with and he and his joiners are true craftsmen who really care about the quality of their work . 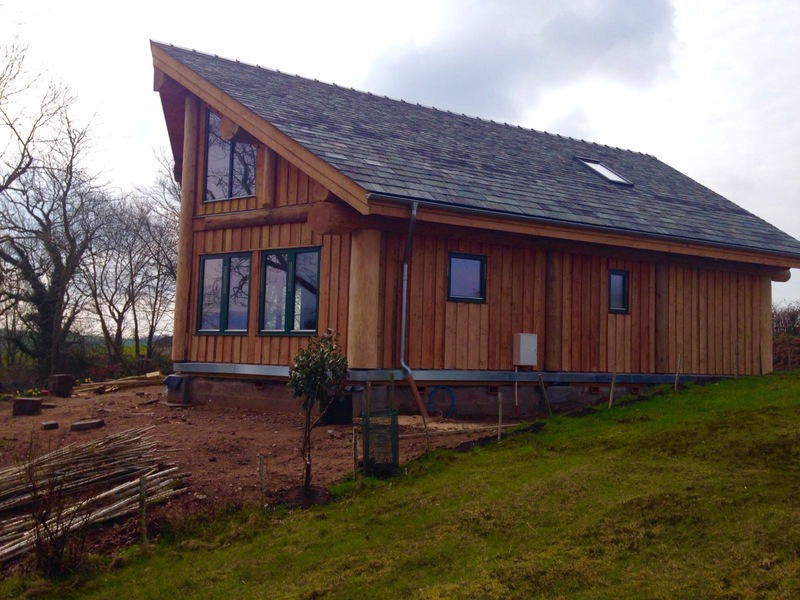 This was the third time we have built a house, and it was definitely third time lucky. 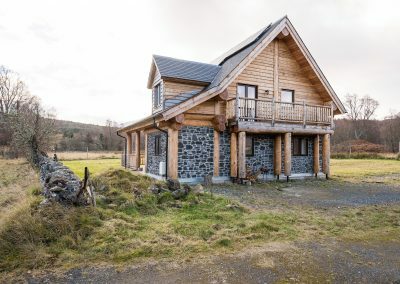 As it says on our website www.fiddlehillcottage.com – it was a great day that we discovered Caledonia Log Homes.